Q. 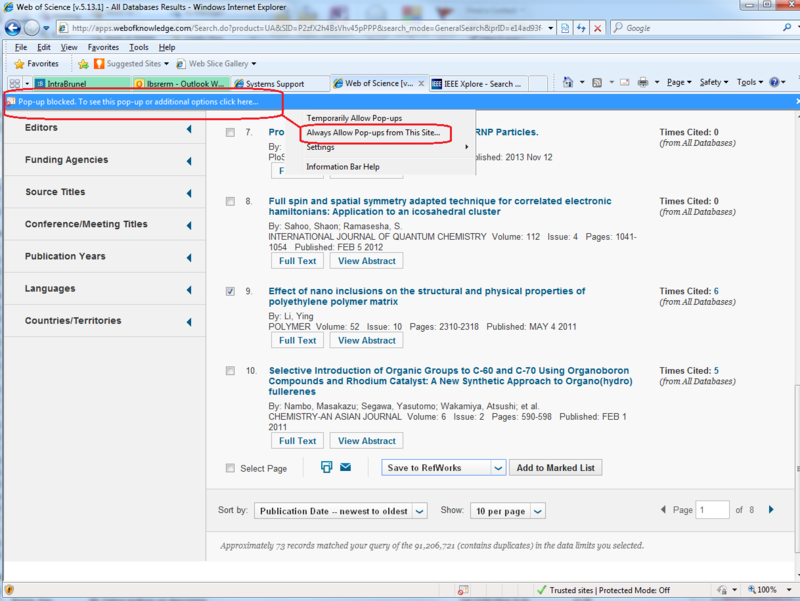 Why does nothing happen when I export a reference from Web of Science to RefWorks in IE? Internet Explorer may block the export from webofknowledge,com because a pop-up for a third party website needs to open. Once enabled, you will need to repeat the export procedure before the RefWorks pop-up opens ... and you may need to log in to RefWorks in the new tab when it opens.